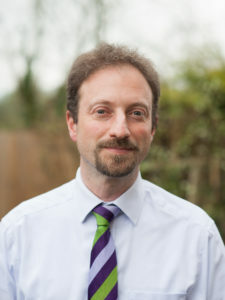 Jonathan Essex is both a Borough and County Councillor, representing Redhill East on both Councils. He was elected to Reigate and Banstead Borough Council in 2010, and re-elected in 2014 and 2018. And he was elected to Surrey County Council in 2013 and re-elected in 2017. Jonathan is a Chartered Civil Engineer and Environmentalist with postgraduate qualifications in Development Management and Environmental Decision Making. He has worked on development projects in the UK, Bangladesh and Vietnam. He has worked for major contractors on power, transport and maritime infrastructure projects. He currently works for an international development consultancy based in Redhill. Jonathan joined the Green Party in 2005, after returning from working in Bangladesh. He wanted to help build better local communities in the UK and to tackle issues of global poverty and climate change. Jonathan got actively involved on a wide range of issues in Redhill. He set up Sustainable Redhill, which inspired a growing campaign for a stronger and safer community, for our children and all of us. He is also a co-founder of the Green House think tank. Jonathan has passionately campaigned for local actions on a range of issues: from waste and recycling to potholes, from cycling to community facilities. On the Borough Council, Jonathan serves on the Overview and Scrutiny Committee.